As we face another year, let me pause for a moment and look back at my travels last year. 2015 was a good year. I was able to visit 6 countries/territories and 13 cities (Cagayan de Oro, Malaybalay, Valencia, Hong Kong, Tianjin, Guilin, Tokyo, Kyoto, Seoul, Ulaanbaatar, Chinggis City, Pyongyang, and Kaesong). I praise the Lord for these blessings and travel opportunities. Looking back and counting our blessings also allow us to have more confidence in facing the year ahead. As what I always say in my posts here and in social media, I prefer spending money on experiences rather than things. Here are my travels in 2015. A wonderful ski resort located in the outskirts of the Chinese capital, this ski resort has lots of slopes, from beginner to advance. It was an all-expense-paid-trip by my company. What a wonderful trip to start the year. I went home to attend the graduation of my sister. We took this special opportunity to visit Camiguin, one of the top tourist spots in the Philippines. Fantastic waterfalls, white-sand beach, hot spring, historical sites-- it was an unforgettable relaxation with family. I also relaxed at a beautiful hotel resort in Cagayan de Oro called Pryce Plaza Hotel. A classic. Together with my siblings, we explored this vibrant city. We stayed in a wonderful suite at Marriott Hotel with a river view. 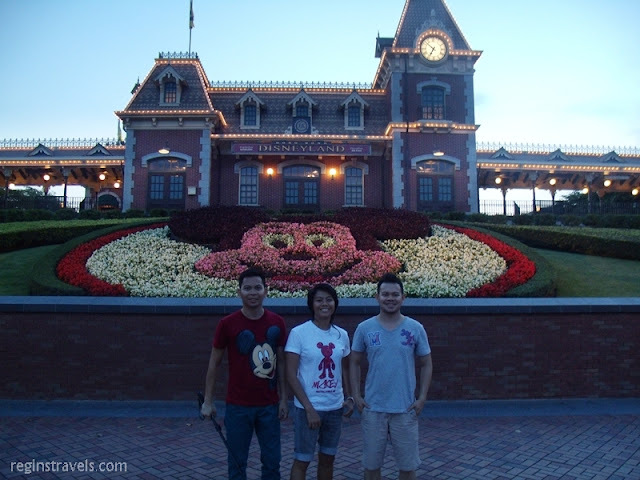 And of course, met our favorite Disney characters at Disneyland! One of the major cities in China, this port city is home to wonderful infrastructures. It had a European vibe, as well, thanks to the Europeans who once settled here. We took the bullet train from Beijing. The city is well-organized and clean. It’s a good destination if you want to have a little touch of Europe. Rice terraces always amaze me. I am always in awe whenever we visit Banaue Rice Terraces in the Philippines. I have developed an interest in rice terraces. The fact that they were carved without modern tools long time ago, is a wonder. I visited Guilin because of Longji Rice Terraces, a wonderfully preserved rice terraces built by the Zhuang ethnic minority during the Yuan and Qing dynasties. And upon planning my trip, I also found out that Guilin is where Li river is located-one of the most beautiful rivers in China surrounded by limestone karst. I also visited Yangshou, a county in Guilin that is part of the Banana Pancake Trail. It was an awesome backpacking trip. It has always been a dream to visit the Land of the Rising Sun. And in July 2015, that dream became a reality. I was blown. I had lots of jaw-dropping moments while in this country. It’s an amazing, fantastic, superb, unbelievably awesome country. It’s hard to describe the details here. Just go and experience it for yourself. All I can say is, the ones that amazed me the most are the locals-the Japanese. Their kindness, consideration, thoughtfulness, and politeness is out of this world. A long lay-over in the Land of the Morning Calm’s capital city allowed me to go out of the airport and have a glimpse of the city. Thanks to the transit visa given to Philippine passport-holders by South Korea. I took the metro/subway and just went by to wherever I think is a cool spot. I ate Korean street food. Thanks, South Korea. And I have to say, Incheon International Airport is so awesome! One of the most comfortable airports I’ve been. A team-building in a county at the outskirts of Beijing, it was a memorable day. Again, my company bore most of the expenses. The gorge was so beautiful; magnificent karsts, turquoise water, serene atmosphere, and together with cool people-- memorable team building. Mongolia. It was on top of my bucket lists. This travel, I should say, is long overdue. Ever since I’ve watched the documentary On The Trail of Genghis Khan in 2011, I’ve been itching to experience the vast steppe and nomadic way of life. In October 2015, I was able to live with the nomads. The Mongolian steppe is so mind-blowing. This country is my most exotic, authentic, natural, most preserved-culture country that I have experienced. Animals freely roam in the steppe, so dope. Just as I’ve thought I had a wonderful 2015 travel experience, then came North Korea- one of the most mysterious countries in the world. Before the year ended, I was able to have a glimpse of this hermit kingdom. 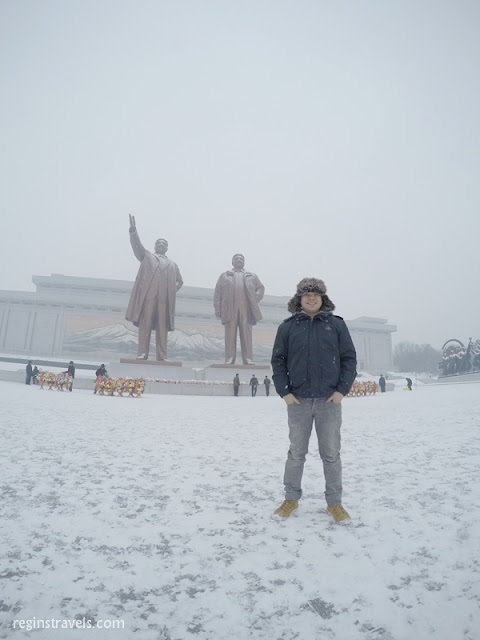 I ended 2015 in the capital, Pyongyang, with fireworks at Kim Il Sung Square. It couldn’t get better than this.